Davidson Oil was growing, and the company needed a scalable solution that could grow with it. Needed a comprehensive, non-proprietary fleet management tool that included ELD, telematics, and GPS. Wanted to be able to use a single fleet management solution compatible with third-party devices that drivers were already familiar with. 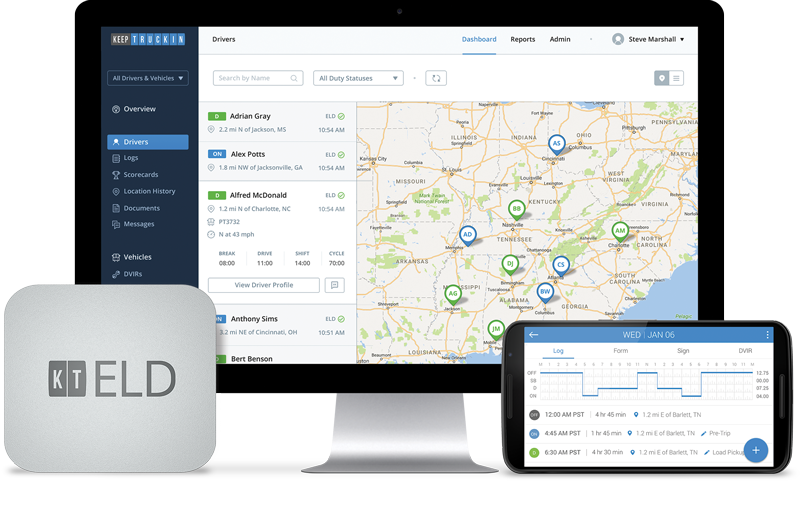 PDI has partnered with KeepTruckin to offer you a best-in-class, fully-compliant electronic logging device (ELD) solution. With the KeepTruckin solution, you’ll be up and running with fully-compliant logs as soon as you install the KeepTruckin ELD! KeepTruckin handled all of Davidson Oil’s critical truck management needs, including electronic logs, truck monitoring, and GPS.